The North Carolina Association of Educators endorsed Democratic candidate Roy Cooper for governor in early December. The North Carolina Association of Educators (NCAE) is the state's largest teachers' group, but Sen. Ralph Hise (R-Madison) is concerned it's not large enough to be eligible for the state to collect dues for the group out of its members' pay checks. State law requires employee organizations of majority public school teachers to have 40,000 members to qualify for the payroll deduction. Other state employee organizations must have 2,000 members to qualify. A 2014 state law requires the state auditor to annually verify the number of members in each organization that receives the payroll deduction. The statute was included in a technical corrections bill that was passed in January 2015 and included revisions to dozens of miscellaneous laws. The NCAE's website says it has 70,000 members. But a Friday report from the state auditor showed the group refused to provide the office with its membership numbers. NCAE spokesman Tim Crowley said in an email the organization has nothing to add to the auditor's report. Hise sent a letter to State Controller Linda Combs asking her office to stop payroll deductions for groups that did not meet the eligibility requirements and for those whose membership numbers could not be verified. "The failure to complete the required verification itself violates the law," he wrote. "Therefore I request that your office cease such deductions unless and until the State Auditor completes the required verification." The report showed 9,452 NCAE members were on payroll deduction in 2014; however, this number does not represent the total number of NCAE members. For example, while the State Employees Association of North Carolina (SEANC) reported having 52,900 members, only 32,033 members were on payroll deduction. The only other group that did not provide its membership numbers was the Chapel Hill-Carrboro Federation of Teachers, which the report says did not respond to the state auditor's request. Claire Ennis, employee relations coordinator for the office of the state controller said in an email her office only received the auditor's report late Friday. "We are reviewing the report and will take appropriate action as dictated by law," she said. Republicans have taken aim at the NCAE's payroll deductions before. The General Assembly passed a law in 2012 that would have prevented the NCAE from getting payroll deductions, but the law was ruled unconstitutional as "retaliatory viewpoint discrimination" because it singled out the teachers' group. 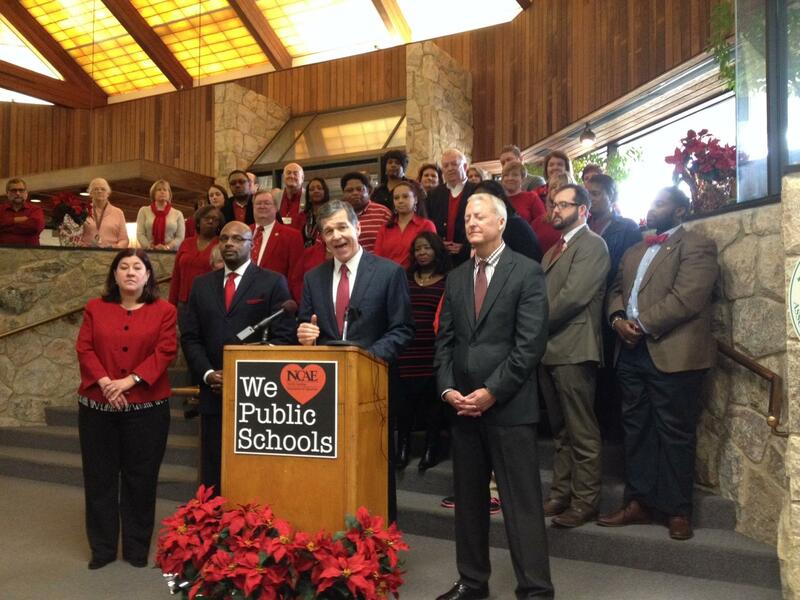 The NCAE has traditionally supported Democratic lawmakers and candidates. Hise sponsored a bill in January 2015 that would have ended payroll deductions for all groups, but the measure didn't pass. An earlier version of this story incorrectly stated that a 2014 law required employee organizations of majority public school teachers to have 40,000 members to qualify for payroll deduction. Such employee organizations have been required to have 40,000 members to qualify since at least 2002. The 2014 law requires the state auditor to annually verify the membership numbers of each employee organization participating in payroll deduction to ensure they qualify. North Carolina's Republican lawmakers are trying once more to prevent employees’ associations from collecting their members’ dues via payroll deductions. Teachers aren’t the only ones seething after the Republican-led Legislature made it more difficult for educators to pay their dues to the North Carolina Association of Educators. Members of the state’s largest teachers’ organization woke up to the news this morning that their dues would no longer be automatically deducted from their paychecks. Dave DeWitt reports. Early this morning, state lawmakers overrode the governor's veto of a bill preventing teachers from automatically paying dues to the state's largest organization for educators.